I am sorry that I have neglected you, yet again. What can I say? I'm just having trouble staying dedicated right now. I will try to be better in the future. Another easy project to make you feel all shiny and new for your next night on the town! All you need is about 1 yard of fabric. First, cut a strip off one of the long sides with which you'll make your cinching band. Make the strip about 5 inches wide- you'll fold it over- wrong-side-out, sew it up the long edge and up one end, turn it right side out and then sew up the other end so you have a finished band. Alternatively, you could pick ribbon that goes with whatever fabric you pick, and then eliminate this step (even better). Next you'll take your big fabric piece- depending on how long you want the skirt to be, fold it in half lengthwise with the "right" side facing inward, and pin up the long edge. Then sew the edge. Turn the panel right-side-out, and then press the seam you just sewed so that it lands not on the edge, but about 4 inches from the edge. This way when you're wearing the skirt, you won't see the seam at all, it will be hidden up from the bottom of the skirt. Now fold your pressed panel in half, wrong-side-out, and pin the open edges together, and sew a seam there. Now turn right side out- you'll now have a giant circle of fabric. Then cut small slits in even increments across the top of the skirt, about 4 inches down from the top edge- then loop your band or ribbon through the slits in an "in and out" motion. Tah dah! You're all finished! Step into the skirt, cinch it up, tie it off, head out the door! In keeping with the tradition of embellishing old clothing/accessories to make something fresh and new for the 'ol wardrobe, I've dressed up these old flip flops from H&M. To do it yourself, all you need is an old pair of flops, needle and thread, some fabric to use for your embellishment, and a safety pin. First, cut 2 pieces of fabric for your embellishment, as well as straps (about 1 inch wide, and as long as you need for it to go around your ankle and tie in a knot). The embellishment pieces should be shaped like very long triangles; fold in half, wrong-side-out, and sew up the long edge; turn right-side-out. Press the embellishment pieces so that the seam runs up the middle. On the wide end of the triangle, fold the edge over (toward the seam side) to make about a 1 inch hole through which the ankle strap will go, sew across. Then sew up the middle of the embellishment piece with needle and thread with stitches about 1/4 inch apart- then pull to gather. Tie off the thread when the embellishment is gathered enough to make the piece the right length to sit on top of your foot- from the spot on the flip flop where you'll attach it, to your ankle. Then take the gathered embellishment piece and sew it onto the flip flop, seam side down. Using a safety pin, lace your ankle strap through the 1 inch hole you've made where the embellishment will meet your ankle. Voila- strap 'em on! Mix the garlic, salt, onion, cilantro, jalapeno, lime juice, and tomato in a medium-size bowl. 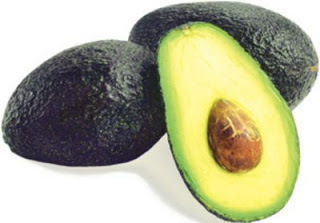 Then slice your avocados length-wise, and remove the pit (keep one if you will not be serving the guac right away- you shouldn't wait more than 6 hours or so to serve guac once it's made, but placing one of the reserved pits in the prepared guac will help keep it from turning brown). Then scrape out the flesh of the avocado into the other ingredients and mash with a fork and incorporate well with other ingredients. Trust me, this will taste way better than any batch made with one of the seasoning packets! Serve with tortilla chips and flour tortillas. Guac is also great on top of a burger! Lately I have been laboring over what to do with the island in our kitchen- it has been a blank canvas for a long time (minus the candle I put on a pitiful plate and tried to pass it off as a centerpiece for a while), and so I have been trying to figure out how to dress it up to fit with our kitchen. For some reason when I think of centerpieces, I always think of old-fashioned, overly flowering arrangements. I knew I wanted something more simplified and modern, so the idea of orchids came to me. I have this really cool glass pedestal bowl that I had no idea what to do with, so it finally came to me to fix it up with the orchids to make a centerpiece that is more permanent (provided that I can keep the orchids alive), yet still made up of living things. I heard Oprah say once that centerpieces should always be made up of real things- fruit, flowers, pine cones, whatever, but something real- not plastic. Now I don't typically put a lot of stock into anything Oprah says, and this statement of hers is an easy one to make for someone with billions of dollars and probably her very own personal centerpiece-maker on the payroll, but for whatever reason, it stuck with me. So here's to putting together something modern looking and made of (mostly) "real" things that can serve as a centerpiece for a long time! I used my own glass pedestal bowl, and I bought fake greens and preserved moss at Michael's and used them to line the bowl and to add a giant flash of green. Then I bought 5 orchid plants (from Kroger, mind you, so they were relatively inexpensive) and a bunch of fake curly willows. Where the orchids came clipped to ugly blue posts, I swapped out the posts for the curly willows as I planted the orchids to give them the stability they need to stand up. So I'm at peace now with the large centerpiece I have to dress up our kitchen island- and it should last me a long time, which will make it cost-effective in the long run (again, provided I don't kill the orchids). P.S....learned a very cool trick about how to keep the orchids alive- they need very little water- 3 ice cubes, once a week will do it! Who doesn't love tomato soup with a grilled cheese sandwich? I know I love that combo, and here's a new, more grown-up take on that old classic! Roasted tomato soup with croutons and Parmesan cheese! This first part is the hardest, and the only time consuming part of the whole deal- you need to cut the tomatoes in half, length-wise, and pull out the seeds and juice and discard. Throw the tomatoes, garlic, olive oil, rosemary, a few pinches of seasalt, and red pepper in a bowl and toss together so that the tomatoes are well-coated with the seasonings. Let marinate for about 20 minutes. Then lay the tomatoes (cut open side up) on a rimmed baking sheet. Drizzle remaining oil mixture over the tomatoes. Roast the tomatoes in the oven for about 30 minutes at 350 (until the tomatoes start to get blackened on the bottoms and start wrinkling up like prunes). Remove the tomatoes from the oven and place half of them in a food processor to puree....then dump the pureed tomatoes into a large pot on medium heat; then place the rest of the tomatoes in the food processor and "pulse" until they are just broken up into nice chunky pieces. Then dump the chopped tomatoes into the pureed tomatoes. Simmer on low until you are ready to serve- you may need to add a touch of salt to season. To serve, ladle into bowls and top with a handful of croutons and Parmesan cheese- there you have it! FYI- it's even better a few days later- microwave it and top with croutons and cheese! Enjoy!